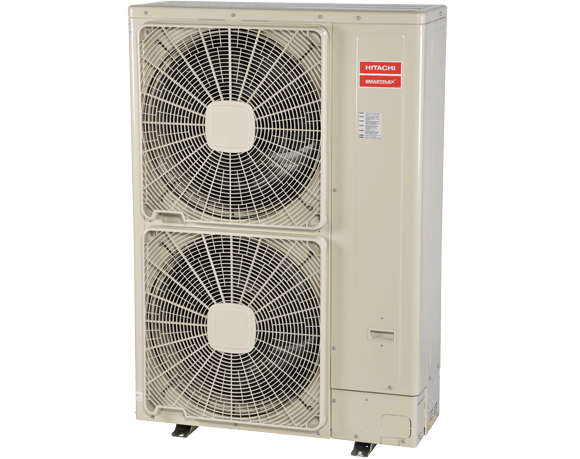 Exceptionally efficient Hitachi SmartFlex™ Mini VRF systems provide design versatility and flexibility and quiet personalized comfort. Ideal choice for buildings with zero lot lines or zoning restrictions. Flexible – Numerous system configurations multiple-sized outdoor units and multiple options of indoor unit types and capacities. Adaptable - Up to 984 ft. total pipe length. Versatile — Up to 164 ft. vertical distance between outdoor unit and indoor units. Seasonal Energy Efficiency Ratio (SEER) up to 22.5. Energy Efficiency Ratio (EER) up to 16.4.